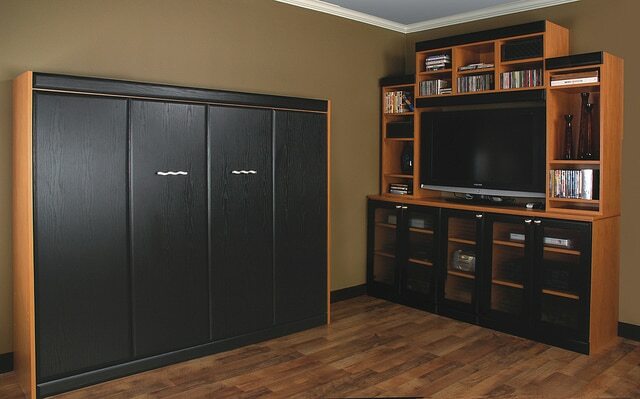 wall bed Archives - More Space Place Our Murphy beds are custom-built to your exact preferences, ensuring a bed that is comfortable, personal, and tailored to your needs. Get in touch with the team at More Space Place Sarasota today! 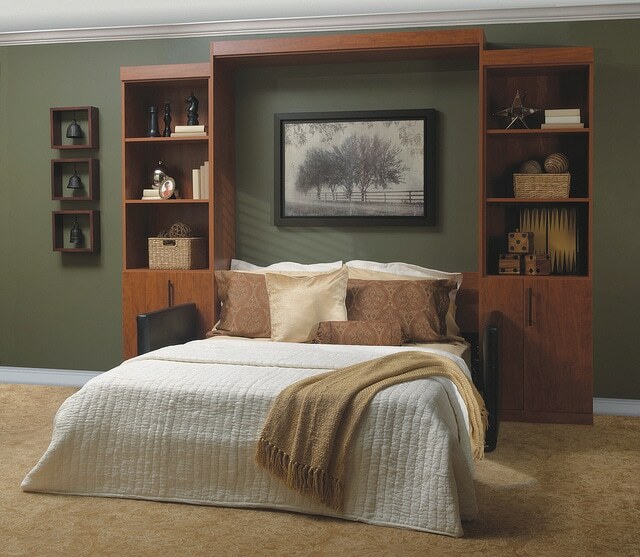 In the past, wall beds were known to be tacky, uncomfortable, and difficult to operate. 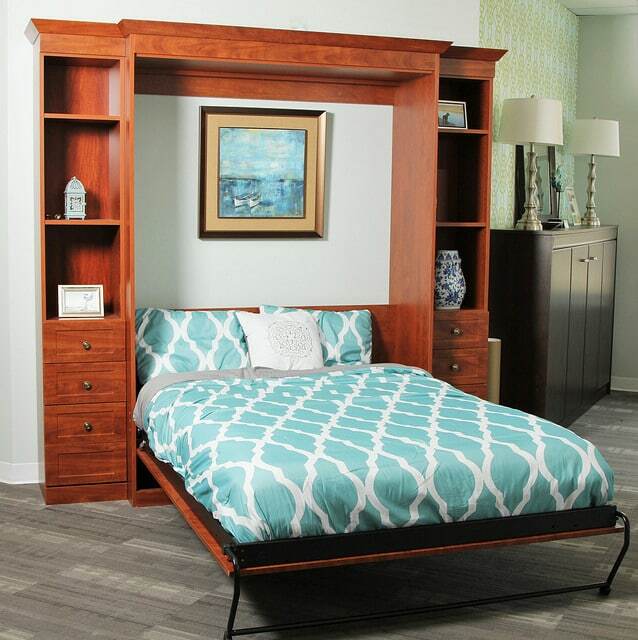 That’s why some Sarasota homeowners will scoff at the idea of installing a wall bed. 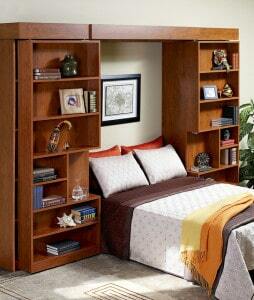 However, modern wall beds are actually quite great! 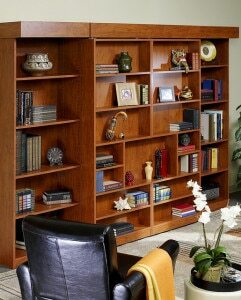 They’re versatile, easy to use, comfortable, and come in a variety of styles to match your existing décor. There are many reasons why some homes can benefit significantly from having a wall bed, but here we’ll look at just three. 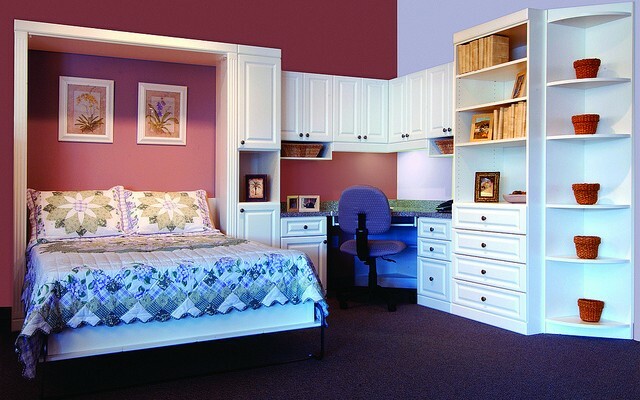 Many homes are small and don’t have enough bedrooms for an extra one to be used as a guest room. This can make it difficult when people come to stay. Maybe you’ve been putting guests up on the couch or blowing up the air mattress in the living room. This can work in a pinch, but it’s usually nice to allow guests their own space. Not only is it nice for the guests, it can be nice for you not having them disrupt your living areas. 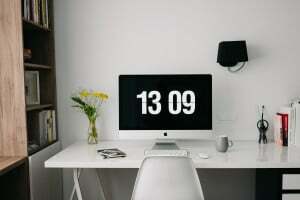 If you have a home office or room you use for other things, like crafts or storage, you could turn it into a multifunctional room that doubles as a guest room with the simple installation of a wall bed. 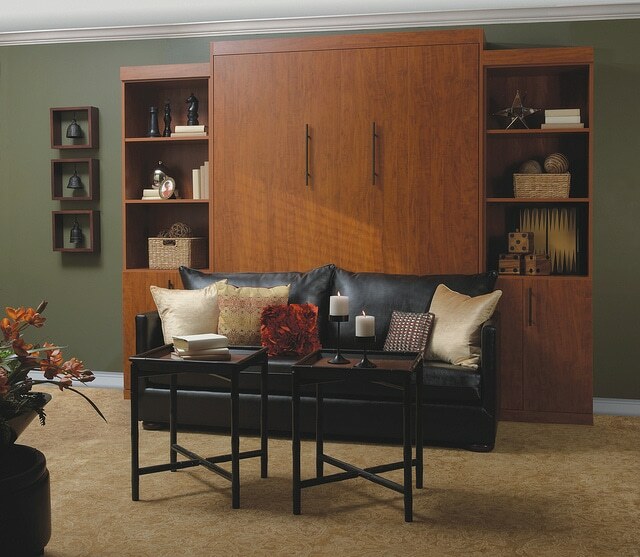 Many wall beds come with additional shelving and drawers you can use for storage, allowing you to put away any clutter that might be in the room already. With the added wall bed, you’ll have a home office for your day-to-day use, and a convenient guest room for when you need it. 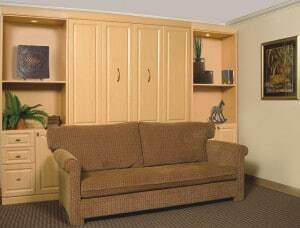 A common alternative for a wall bed is a futon. Many futons tend to be pretty uncomfortable to sleep on, not to mention bulky and hard to move. Instead of using bars to support the flimsy futon mattress, wall beds use a real mattress on a platform, allowing for a more comfortable night’s sleep. 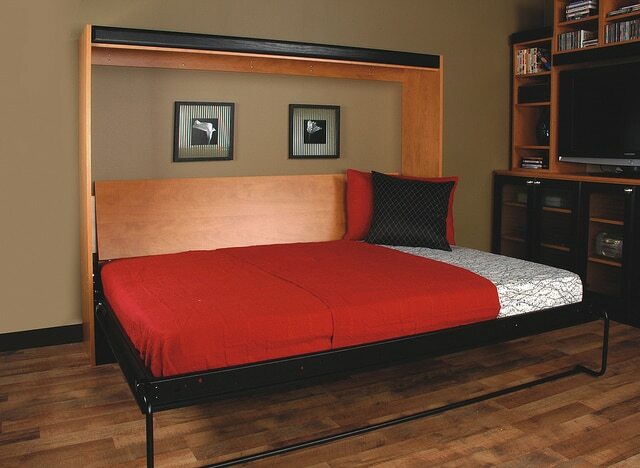 Although wall bed mattresses aren’t as thick as real mattresses, the platform provides firm support and added comfort. 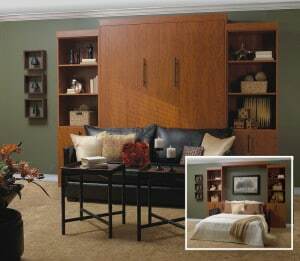 Another reason your home needs a wall bed is because they are easy to use. 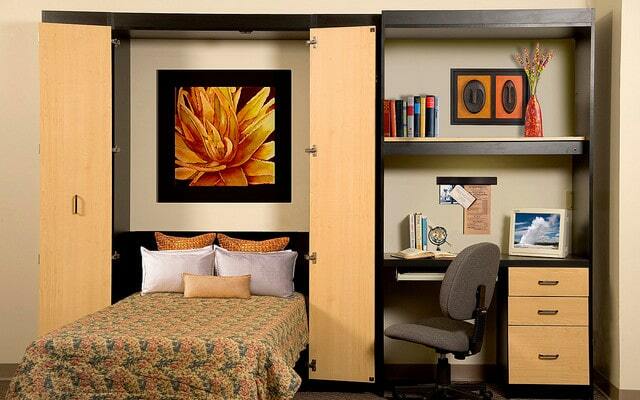 Unlike futons that can be heavy and difficult to employ, wall beds are a simple one-step maneuver. You pull them down when it’s time for sleeping, and fold it back up in the morning. This can generally be done with one hand. You can even leave the bedding on the mattress when it’s folded up, and you don’t have to worry about it showing or falling off. Say goodbye to the frustrating process of readying the bulky couch foldaway bed for the night’s guest. 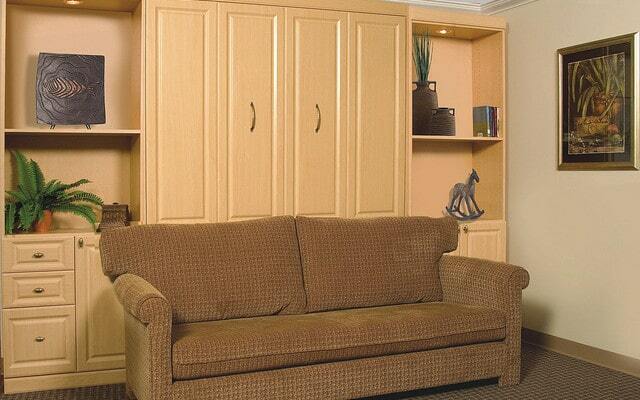 Are you in need of a place for guests to sleep but are limited to space in your home? 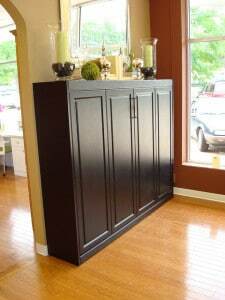 Consider installing a wall bed! 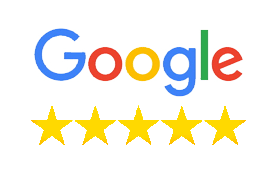 Call More Space Place Sarasota today to schedule a free consultation. 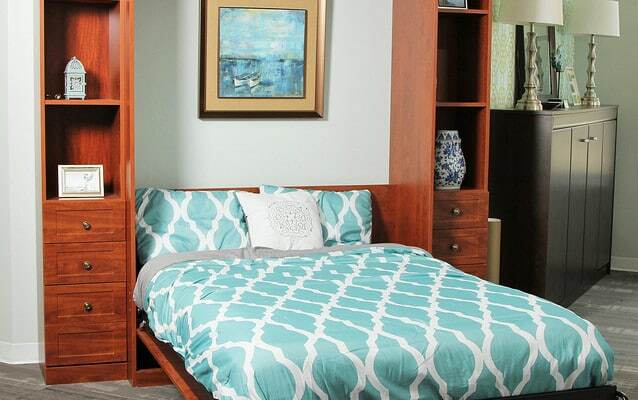 We’ll help you find the perfect space-saving wall bed for your style and your home.